Leasing a car is a great alternative to buying. It gives you another way to get the keys to the car you want, plus it makes upgrading easy. If you’re interested in leasing a Volkswagen Golf near Toms River, Brick, and Freehold, check out the selection of lease deals at Toms River Volkswagen. Then apply for a lease to get started! Why Lease a Volkswagen Golf? The Volkswagen Golf is a classic compact that delivers sporty handling and style. Its iconic, rounded design and low center of gravity give it nimble handling. Inside, there’s V-Tex leatherette seats and a bold leather-wrapped steering wheel. You can also unwind and get comfortable during your drive. There’s 41.2 inches of front legroom and 35.6 inches of rear legroom. Behind the seats, you can carry lots of cargo with 22.8 cubic feet of space in the trunk. When you need to load more, fold down the 60/40 split rear seats and you’ll have up to 52.7 cubic feet of space. Up front, you can enjoy SiriusXM® All Access Radio on either a 6.5- or 8-inch touchscreen in your dashboard. 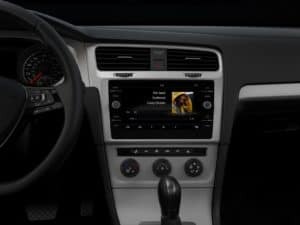 This Bluetooth®-compatible system also features Volkswagen Car-Net® App-Connect. It lets you connect your smartphone with Apple CarPlay™, Android Auto™, or MirrorLink®. Your dashboard screen also doubles as a way to see what the Rear-View Camera System sees behind you. It’s just one of the driver assistance features that’ll help keep you safe. Some of the technology that will give you peace of mind includes Front Assist and a Blind Spot Monitor. All of this sits on top of a vehicle that’s downright fun to drive. It has a standard 6-speed manual transmission but offers an 8-speed automatic with Tiptronic® and Sport mode. So, whether you prefer stick or automatic, you can still personalize your drive and take control. Leasing a VW Golf offers a few fun perks. First, you’ll agree to a lease term that’s either 24 or 36 months long. When the lease ends, you’ll return the car to the dealership. That gives you a great opportunity to upgrade. Starting a new Volkswagen lease after you return the car is convenient and lets you drive home in a brand-new car with all the latest features. It also gives you an opportunity to switch things up. With two trim levels, lots of available features, and eight colors to choose from, the Volkswagen Golf offers lots of options. Plus, Volkswagen leasing can even save you money. Since you won’t have to pay off the full value of the car, you usually won’t have to make a down payment on it. Visit Toms River Volkswagen to learn more about leasing the dynamic Volkswagen Golf. Our finance center offers a great selection of Volkswagen Golf lease deals near Toms River, Brick, and Freehold. 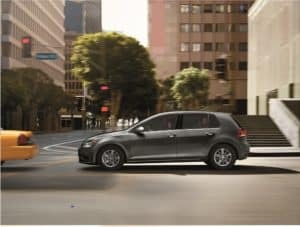 To take one of these sporty hatchbacks for a test drive or learn more about how to sign up for a Volkswagen lease, contact us or visit our dealership.